It's here and it's awesome! The 2019 Triumph Street Triple 765 full system is finally here! 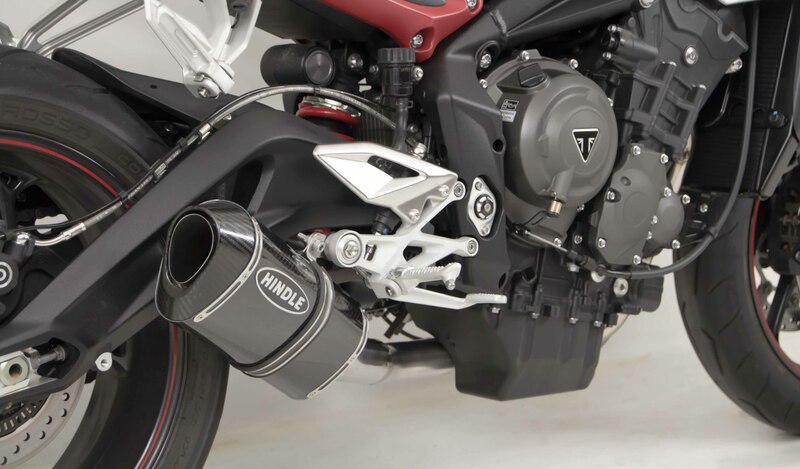 Featuring two amazing versions: one that uses our unique Evo Megaphone muffler, and the other uses our top-selling Evolution muffler. 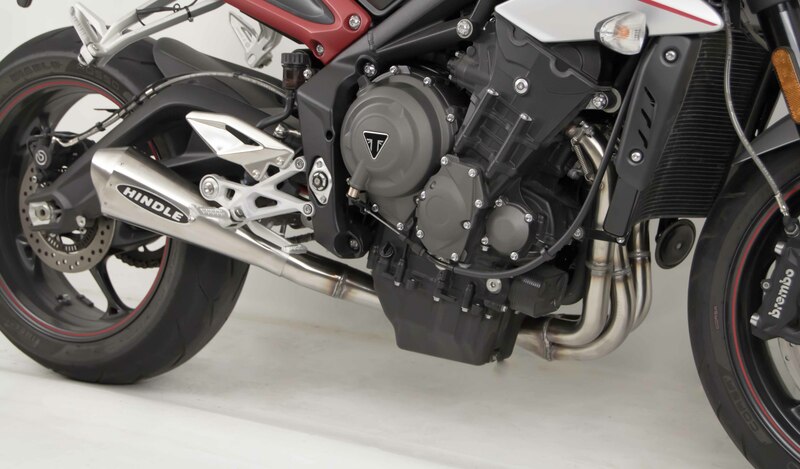 Both systems yield incredible torque and horsepower increases, without any further products or tuning. 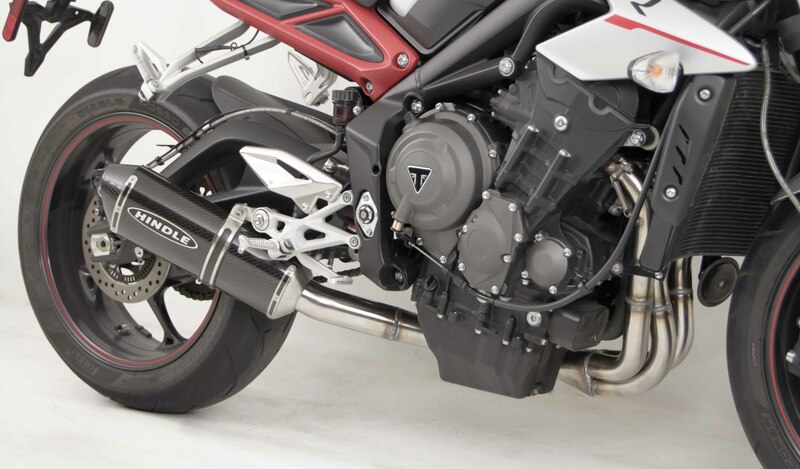 Add a Power Commander to take that performance to the next level! 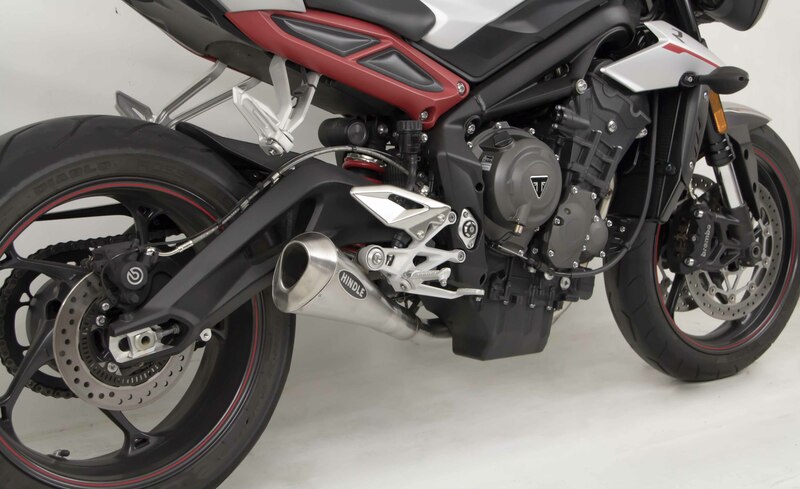 Full system prices starting at $699 CAD for the Evolution Megaphone (muffler included) and $849 CAD for the Evolution Mufler System (muffler included). 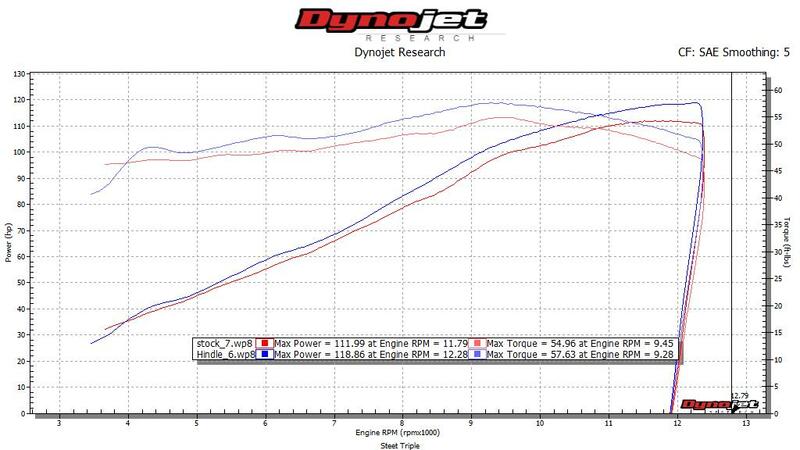 Scroll down for the dyno chart to show torque and horsepower increases. 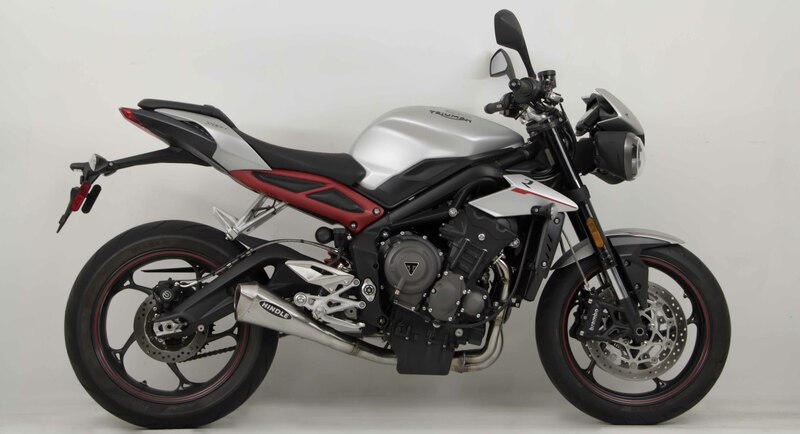 Shop our 2017-2019 Triumph Street Triple 765 here.